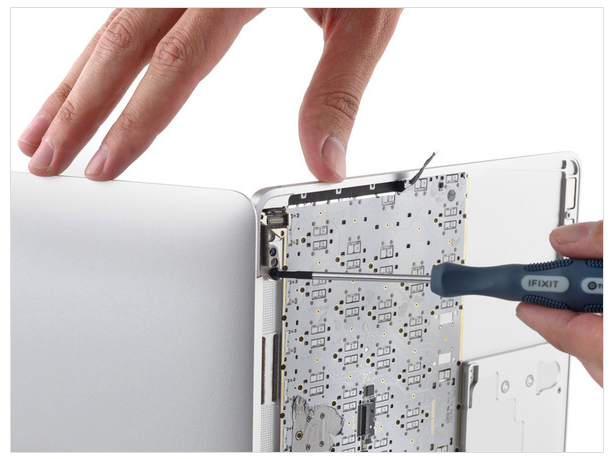 The iFixit team has recently performed a teardown of the brand new 12-inch Retina MacBook. As it turns out, although the laptop is full of modern hardware, it is incredibly difficult to disassemble it. Consequently, when your MacBook stops working properly, you will have to give out a lot of money to repair it. This is probably the biggest drawback of the thinnest laptop ever manufactured by the guys from Cupertino. Apple describes its new Retina MacBook as "the future of the notebook." Its all-new design certainly has us intrigued. The whiff of aluminum in the air and the whisper of screws unwinding to reveal the mysteries within can only mean one thing: The teardown has begun. Join us as we expertly dismantle the Retina MacBook 2015. As noted by the iFixit experts, the internal components layout is rather complicated. This means that the process of disassembly of the device takes much time and effort. This also means that inexperienced users should not try to repair the device on their own. 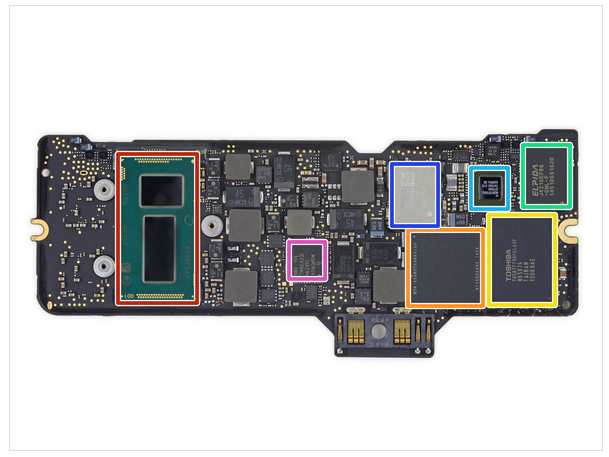 In fact, the 12-inch MacBook is so complicated internally that its Repairability Score is only 1 out of 10. 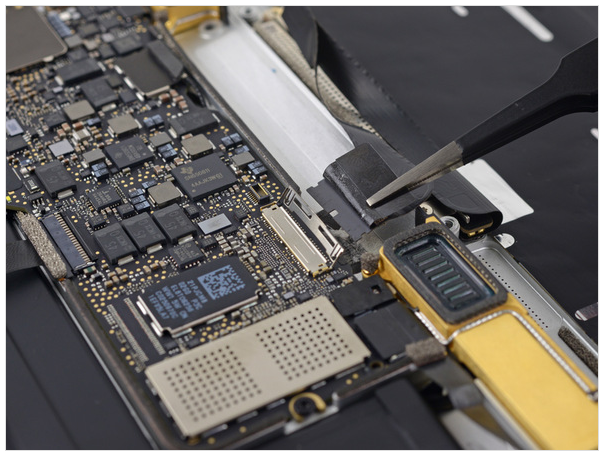 Below you may take a look at some of the images of the disassembled 12-inch Retina MacBook. 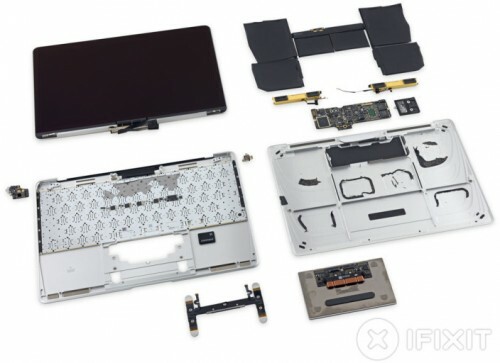 If you are interested in the entire teardown of the new ultra thin laptop, you may visit iFixit official website right now.